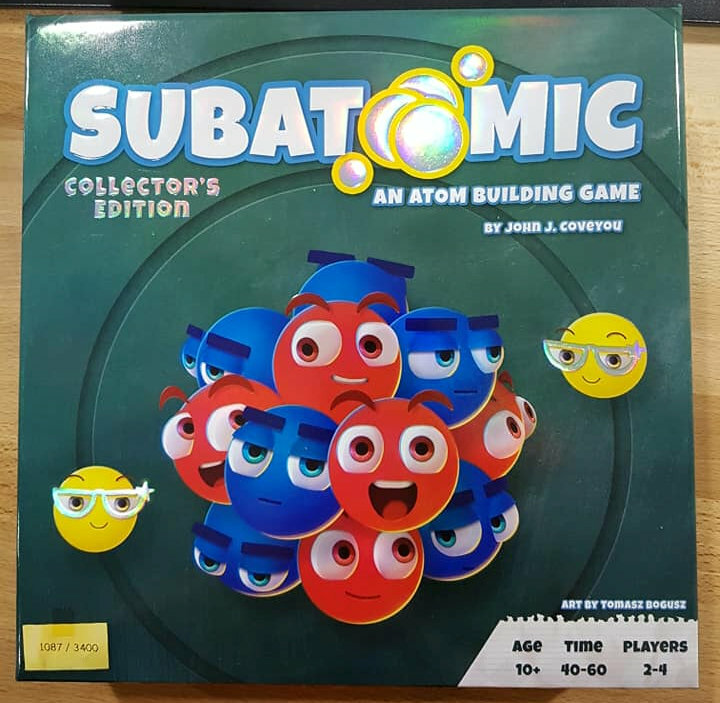 This week we received our copy of Subatomic by John J. Coveyou and published by Genius Games. Being a total Nerd as well as a Geek, I am was very excited by this one! (and I love all the Genius Games games for that reason). 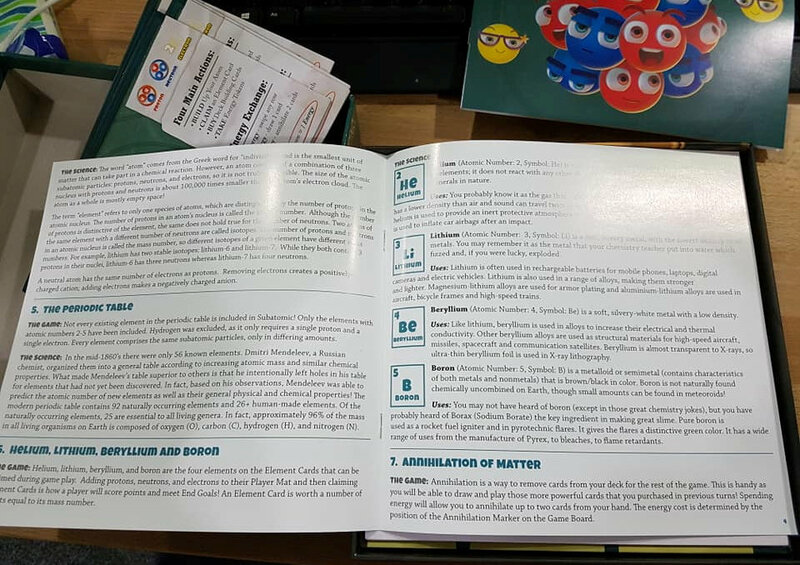 First impressions are often important with a new board-game, and I must say I was not disapointed! the box is small but solid, embossed with very shiny metallic design… very nice! 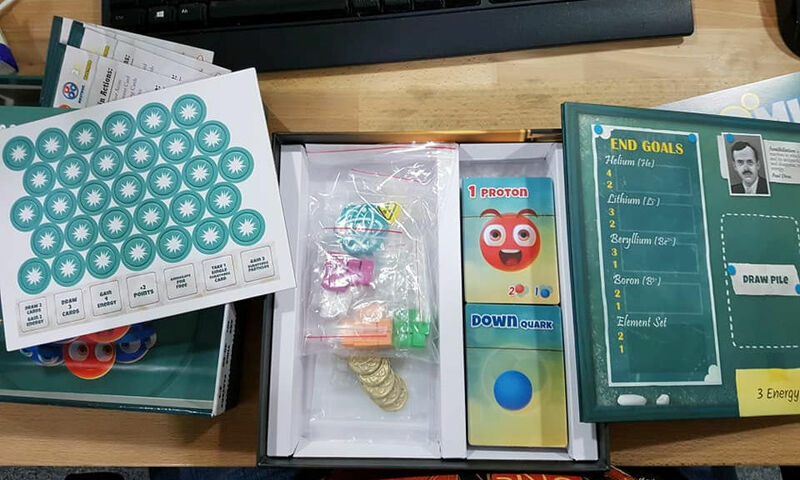 Once opened, the small box is tightly packed with TONS of stuff for the game, so this is not a box of air or one that could contain the next 25 years worth of expansions, no, this is tight and full, just like Cytosis was! and it comes with plenty spare wee bags for the tokens and the rest! box is well packed, no wasted space here. Everything in there is top quality. The tokens are thick and the die-cut very well done and they pop out without any bit shredding, the glass bids for the boards have a nice weight. Cards are good and standard sizes, so sleeving them will not require hunting down the right size sleeves (happen too often for my liking). Only the payer boards could have been a little thicker in my opinion.